Spock, the Vulcan, may have been devoid of emotion but Leonard, the human being, was a man of deep feelings, especially about the Jewish past and Israel's future. He refused to fall into the trap of denial. He refused to close his eyes to disastrous developments in Israel, its continuing occupation of the West Bank, its settlement expansion, the hegemony of Orthodox triumphalism and other internal threats to Israeli democracy. Leonard always followed his conscience and acted on his beliefs. And since he believed in a two-state solution to the Israeli-Palestinian conflict, he believed in the work of APN just as I have for the past thirty years. 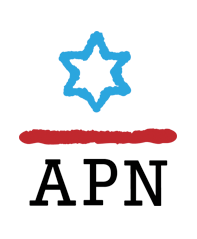 As a present board member and former Chair, I know APN and its Israeli sister organization, Shalom Achschav, to be the preeminent advocacy group for the cause of peace, both at the grass roots level and among office holders and opinion makers in the U.S. and in Israel. For APN and Shalom Achschav – and for Leonard and me – the key question has never been should there be a Palestinian State side by side with Israel, but rather whether Israel can have a secure future without one. I'm proud that Leonard's letter made a difference in 2011—it generated extraordinary media attention as well as an outpouring of much-needed funds to support APN's work. Although a few sentences are outdated, APN is reprinting the letter here in the hope that you will be moved to memorialize Leonard's courage by making a tax-deductible contribution in his honor today. Now, more than ever, supporting APN is the logical thing to do. May Leonard Nimoy's memory always be a blessing and may all of us live long enough to see peace prosper. Because I ignored his advice, I never found out if he was right. Instead, I've lived 80 creative years pursuing acting and photography, and working as a director and poet. If I had listened to my father, and hadn't done any of those things, chances are you wouldn't have recognized my name. Now that you have, I'd like to ask you to keep reading and consider what I have to say. I reach out to you as someone who is troubled to see the conflict between Israelis and Palestinians continue apparently without an end in sight. In fact, there is an end in sight. It's known as the two-state solution. Chanukah message: Where do we find the light? Tisha B'Av: "In all moments, seek peace."